This can be done where the building where more than 50% of the residents want to buy. In Warner flats where the building is comprised of just two flats the freehold can be bought jointly with the other resident. The cost depends on a number of factors and takes about 8 – 12 months to complete. Leasehold law in England and Wales dates from the 11th. Century. In essence it creates an unequal relationship between the freeholder and leaseholder. Its many shortcomings are a separate topic. In the last half century, it’s been modified several times but there are still plenty of loopholes for freeholders and their managing agents to take advantage of. For instance, excessive service charges, overpriced insurance, charges for various permissions etc. are commonplace. The main advantage of buying the freehold (or enfranchisement, to give it the legal term) is that you, as a leaseholder, have no further obligations to the freeholder. You gain some new responsibilities, e.g. insuring the property, but are no longer locked into the freeholder’s choice of provider. What is the difference between extending the lease and buying the freehold? A leaseholder is basically a tenant over a long time period of time, such as 99 years. At the end of that time, the property reverts back to the freeholder, unless the lease is extended. In this case, more years are added, and in some cases changes made to the terms of the lease (and not always in the leaseholder’s interest). If on the other hand, the leaseholder buys the freehold, they end the contractual relationship with the freeholder, and the lease and its clauses are no longer binding. As a result there is no lease to decrease in value over time. Freehold tenure can result in an increased market value of a property by an average of 1%. In both cases, if the lease length is less than 80 years there will be a cost to be paid to the freeholder, whether you are extending or buying. The law says that if the extension increases the market value, the freeholder is entitled to benefit from this. (A case in 2010 tried to challenge this assumption but was unsuccessful.) This benefit is known as the marriage value and is a calculation set down in law that compares the market value of the old to the new lease. For more on the actual calculations see the Leasehold Advisory Service. The first step is to have a valuation done of both flats. There are generic calculators online that give a rough idea but if the valuation is challenged by the freeholder, you need someone who can justify it. If one lease is shorter, then the marriage value for that flat would be greater. It’s worth remembering the process is one of negotiation. The surveyor’s estimate is just that, and the freeholder has to agree to it. Once you have valuations, your solicitor issues a Section 13 notice with the opening offer price. If the freeholder considers it too low, the notice is not only rejected but the leaseholder must wait 12 months before being allowed to make another offer. Once it’s accepted the freeholder is obliged to come back with a counter offer within two months. 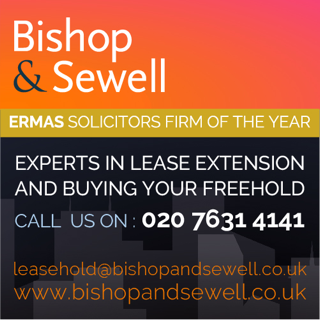 Although the law sets penalties if the leaseholder’s offer is deemed too low, it does not set any similar penalties if the freeholder’s counter offer is too high. And it often is! So what follows is a six month period of negotiation in which not only the cost, but also terms of takeover and rights over common parts are agreed. If agreement is not reached, the leaseholder has to bring the case to a First Tier Leasehold Valuation Tribunal. The last hurdle is the freeholder’s costs. The law says the leaseholder has to pay not only his/her own legal and surveying costs, but also those of the freeholder. What’s more, these are not agreed or capped in advance. In some cases the freeholder’s claim is inflated, but your solicitor should know what a reasonable cost is and be prepared to challenge it if not. An appeal can reduce them by as much as a third. For more information, try Leasehold Solutions who have completed a number of extensions and enfranchisements for Warner residents. They offer a package of surveyor and solicitor. Otherwise ALEP, the Association of Leasehold Enfranchisement Practitioners has a list of solicitors who are specialists in this area. Be aware that it won’t be possible to get a precise quote for the whole cost, because the marriage value and freeholder’s costs are subject to negotiation. But if both leases are over 80 years, the costs should only be for the surveying and solicitor work.